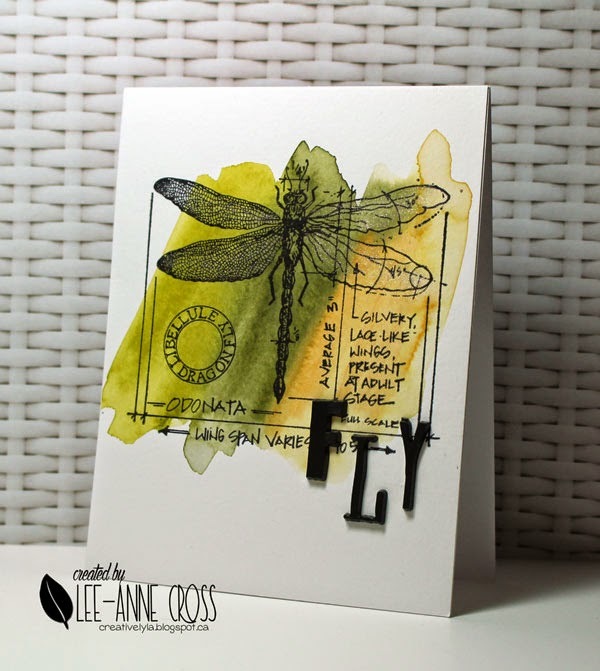 Another quick card for the Hope You Can Cling To Challenges over at Splitcoast Stampers. The background has been made with Distress Markers. Just scribbled the colors on my watercolor paper, took a paintbrush with some water and just sloshed it across the colors. All the other stuff: Scattered Straw, Forest Moss and Crushed Olive Distress Markers, paintbrush, Tim Holtz Ransom Alphabet Parts, Wink of Stella. What a super creation, Lee-Anne! Easy and pretty at the same time. I like those 3D letters.